These Apple, Mascarpone and White Chocolate Muffins with vanilla-flavoured Extra Virgin Olive Oil are easy to make and fragrant. Ideal for a sweet breakfast and with a delicious aroma that fills the whole house! Turn on the oven at 180°. Pour sugar and whole eggs into a bowl and beat until pale and creamy. Separately, sieve the flour with the baking powder and add it to the mixture, a spoonful at a time. 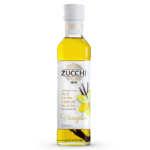 Add the mascarpone, the Zucchi vanilla-flavoured oil and the milk, a little at a time. Peel, core and dice the apples and add them to the mixture, stirring delicately. Also add the chocolate, first dusting it lightly with flour (to top it sinking to the bottom). Pour the dough into the muffin tins, filling them ¾ full. Bake for about 30 minutes. 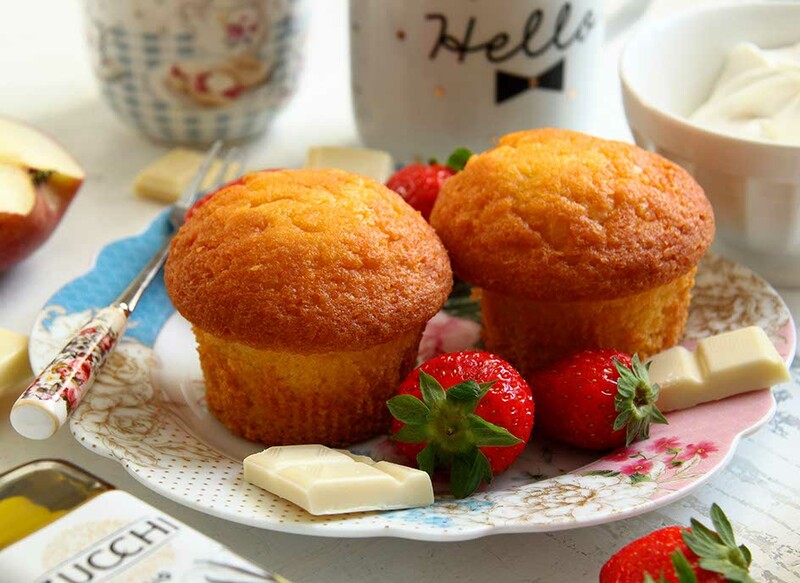 When the muffins are golden brown (use the toothpick test), remove them from the oven and allow them to cool. They will stay soft for at least 3-4 days.